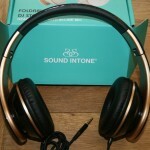 These Sound Intone Headphones I have purchased recently which come with an inline mic are absolutely fabulous. I’m not a huge fan or follower of music or anything, I just needed some new headphones for the kids to use with the tablet and the Sound Intone set seemed to stand out from the crowd as I searched through my favorite shopping site. Lets take a look at them and see how they perform once we get over their stunning good looks! The actual model number of the Sound Intone Headphones I am reviewing here is “I65” – just to avoid any confusion if they make any others. 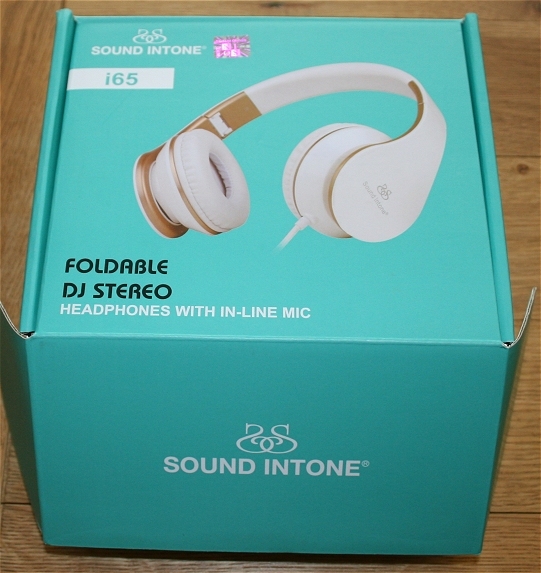 Looking at the box above, you can see they come in white, well – the box has a white headphone set on it but I ordered the black ones – and that is what I got. 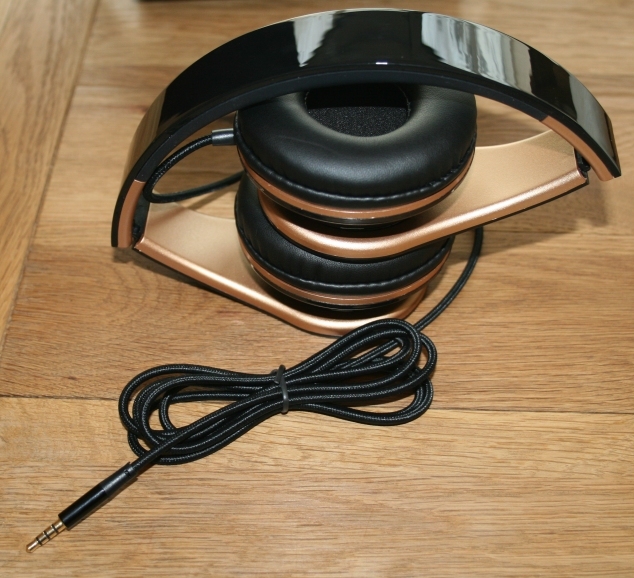 Take a look at my gleaming black and gold headphones below. I went for the black and gold ones because I thought they would match my other gadgets better as I don’t do “apple” stuff – so the white ones would probably be more suitable for the apple heads out there. 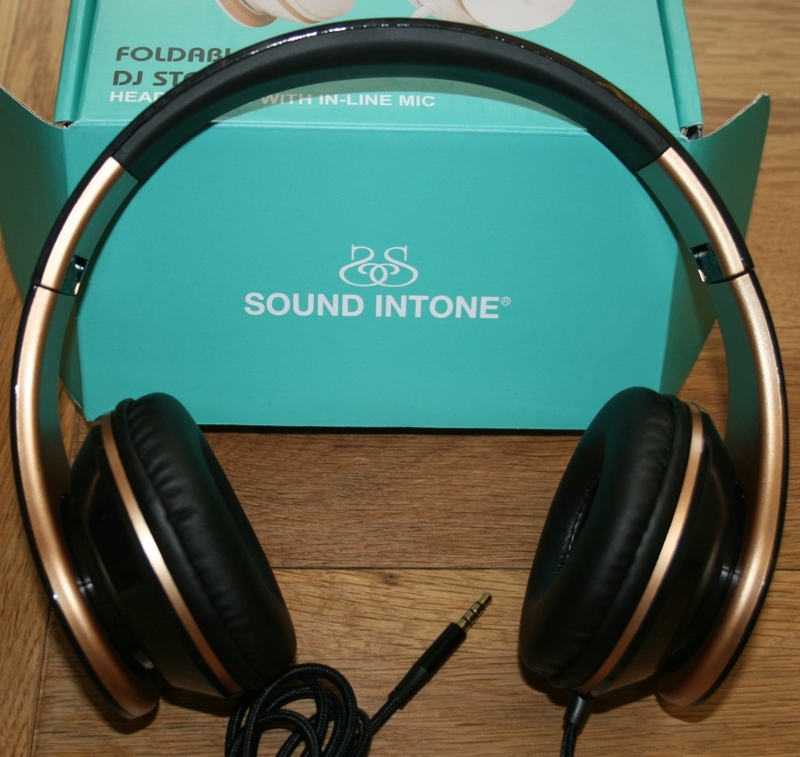 What are the main features of the Sound Intone I65 Headphones. Looking over them you will notice the following features – they have great padding for the ears, which isn’t too large or heavy as some can be. Quite nifty infact and very very comfortable to say the least. About halfway up the overhead band, you will see a break in the plastic where the headphones can be extended from in order to provide a good fit on a variety of different sized heads – so ideal for both adults and kids. As the band continues over the top arch towards the other earpiece, you will notice some thin rubbery padding to protect your head and add that little extra comfort when wearing them. Now this may sound like a matter of mere trivia, but some of the headphones I have in my gadget collection do not have any padding on the top and are quite painful after wearing them for longer periods of time. These don’t suffer that problem. Now I did mention that these would be used for the kids. One of the main problems with other headsets I seem to encounter is the flimsy wires tend to snap, or break inside the actual coating rendering one or both sides of the headset soundless. I hadn’t actually considered this before choosing the Sound Intone’s model, well I had but not during the actual purchase so it wasn’t something I thought of which swayed me. So what an exceptionally pleasant surprise I had when I looked at the actual cable. Check it over yourself in the image below. It is a tough braided, thick wire which I am confident will be able to take the hammering the kids give it when they use it on their tablets. I was hoping that it would fit the XBOX hand controller, but the jack is the next size up so they aren’t compatible. You will also notice the inline mic there a volume control for the listening level. 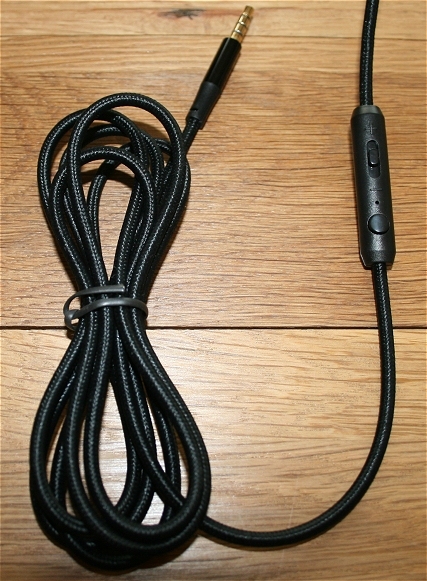 I have to say I was really impressed with this cable, it may sound picky but I really have lost a lot of kit over the years due to snapped wires. One little feature they have added is that they actually are foldable in their design. See below how the set collapses from the hinges along the head arch. How have I tested the Sound Intone Headphones? I have used them on the google nexus 7 tablet to listen to youtube video sound. No problem. I then plugged them into my smartphone (android) and listened to some of my music collection on Google play music. The bass is excellent – really deep and the treble perfect aswell. (Naturally that is gained through the settings on my graphic equalizer but my settings played back the sound better than I expected). What more do I need to do? Nothing really – the headphones are fabulous and I am more than pleased with my purchase. Once again well done to the shopping site and the missus wants some aswell now. I have since found out there are other types, the i68 version comes in flashy green styling, light grey or orange and black. A bit of extra information. EXCELLENT SOUND – Internal 40mm Magnetic Driver Units for strong low base and significant noise-isolation. FOLDING COMPACT DESIGN – Flexible design for easy transport and strong in build. At only 11.99 – yes thats what I said!!! ELEVEN NINETY NINE! You can’t go wrong with these.